wins the prize hands down every time in my book. To be appearing like fresh flowers in the spring in this sleepy little town by the ocean. 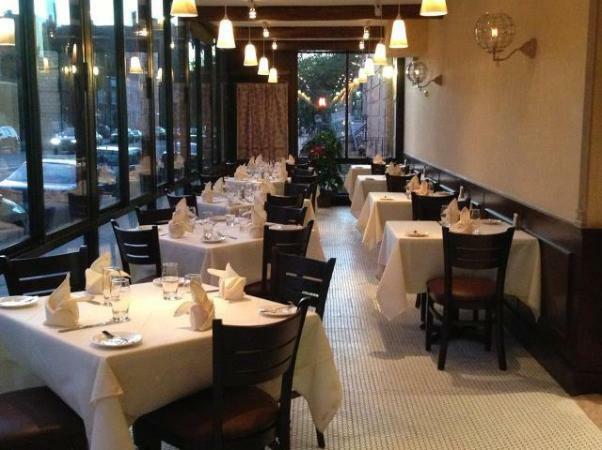 owned restaurants by the Abitino’s. menu is a perfectly designed layout. background and and the scent of freshly made dish’s floating through the air it only made the anticipation greater. After years of writing about fine food I was climbing to. I realized this with the help of a beautiful woman sitting at the table next to me. thank this woman for pointing it out by mentioning sir you must really be enjoying that dish’ what is it? healthy serving of a combination Calamari, Shrimp, Octopus, in a garlic parsley lemon and extra virgin olive oil. looks like has never eaten in a great Italian restaurant. like a guy who just really appreciates great food! a dish and eaten with a fork and knife this may have been the highlight of the meal. thought of a combination of gorgonzola and spinach won the bet. 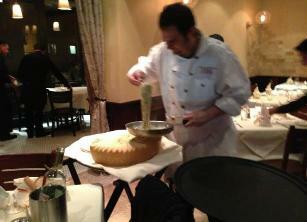 reggiano cheese prepared at your table and mixed in a huge wheel of Reggiano cheese. This dish was delicious creamy and filling beyond my wildest dreams. Each dish in itself is more than enough for one person but on a tasting basis the experience is well - out of this world. at moms is a tradition. 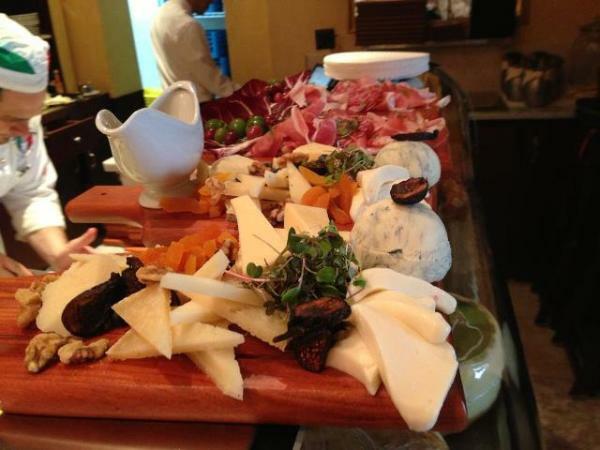 I can’t wait to get back to Vicolo to try the pizza baked in a brick oven in the restaurant. 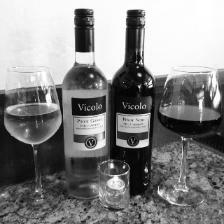 Bring your girlfriend - wife - friends to Vicolo in Bay Ridge Brooklyn, as it will be an experience that you wont forget.